For Media Composer Perpetual license users who want to reinstate support & software updates for a further year. 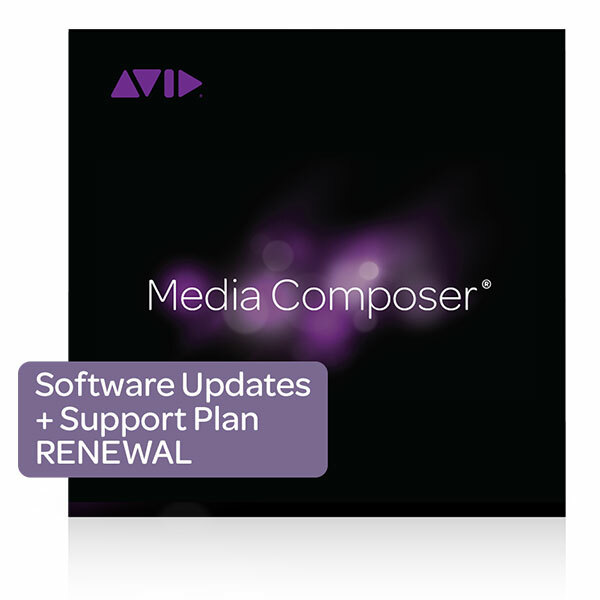 Avid 1-year Software Updates + Support Plan for Media Composer Perpetual license users. Own a Media Composer Perpetual license? If your Media Composer update plan has expired recently, or is about to expire, this Avid 1-year Software Updates + Support Plan for Media Composer lets you reinstate support. This plan provides you with a year of software updates, and one year of support from Avid. Gives you 1 year of software updates via your Avid Master Account and unlimited web support with a 24-48-hour response time. This Avid 1-year Software Updates + Support Plan for Media Composer is not a subscription, or subscription renewal. If you are in doubt of what you need, please call us. Please note that all sales on digital products are final. It is the customer’s responsibility to ensure that the system requirements have been met.